The search into livelihood strategies eventually led to create a sort of an agro-based cottage industry through mushroom cultivation. The search into livelihood strategies for the surrendered maoists eventually led to create a sort of an agro-based cottage industry through mushroom cultivation. CHHATTISGARH: One of the primary challenges for Chhattisgarh Police as well as surrendered Maoists is to secure a stable livelihood that for the rebels after they join mainstream of society. As none of the surrendered Maoists have studied beyond Class VIII, they are ineligible for skill training programmes, police said. The search into livelihood strategies eventually led to create a sort of an agro-based cottage industry through mushroom cultivation. A survey by Rajnandgaon Police found mushroom to be in demand as the district has a sizeable vegetarian population. After a month-long training programme on mushroom cultivation for two dozen surrendered Maoists, they were provided temporary accommodation near the city police line area where they are engaged in mushroom production in a mega-shed. 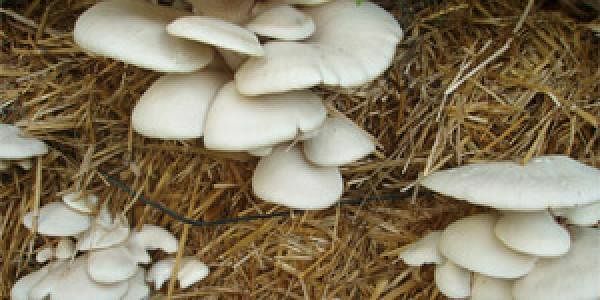 “Mushroom cultivation doesn’t require any significant capital investment or land. The trainees grasped the technique quite well,” said agriculture scientist I K Sahu who organised the training sessions with four other experts. “We don’t wish the surrendered Maoists to go out to work due to a persistent threat to their lives. So a means for rehabilitation was explored. Mushroom cultivation was turned into a suitable income-generating avenue for them,” said Rajnandgaon’s Additional Superintendent of Police Y P Singh. “We are from a rural and agriculture background, so we quickly adapted to mushroom growing techniques. It’s gainful enterprise and we look forward to some secured income and stable livelihood from it,” said Ravi Uike alias Ganeshwar, 38, a former military platoon commander of CPI (Maoist). The advisory, training assistance and technical support services were roped-in from forest department and agriculture experts. A kilo of mushroom is sold for Rs 200-250. “We hope each of the 10 families trained for mushroom cultivation will earn them Rs 5,000 every month,” said Rajesh Pudo, 30, a former Maoist commander.